Use of the Internet content offered on this website is exclusively permitted on the basis of these conditions. By visiting and using this site, you are consenting wholly and without reservation to accept these terms and conditions. The contents of our website have been produced with great care. They are intended for the provision of general information relating to Chromsystems and its products and services. They are not intended for the provision of technical advice or instructions regarding the products and services sold by Chromsystems. Accordingly, we do not accept any express or implied warranty or guarantee and provide no assurances as to the accuracy and comprehensiveness of the information made available or referred to. Please contact us if you have any special questions regarding our products and services. Any liability of Chromsystems for damages arising out of the use of this website – irrespective of the legal cause, including tort – is limited to damages that are caused by intent or gross negligence. To the extent that there be a mandatory liability of Chromsystems as a result of a breach of material contractual duties, the total amount of any claim for damages is limited to the foreseeable damages. This shall not affect Chromsystems liability under applicable Product Liability law or under any warranties given. The aforesaid limitations of liability also do not apply in the event of harm to life, bodily injury or harm to health of a person. We strive to constantly give you access to our website. However we do not guarantee that our website and the content will be available at all times. The websites contain product information which is directed at a broad target group and may contain product details or information which are not available in your country. We do not accept any responsibility for access to information which, as the case may be, does not comply with the relevant applicable statutory regulations, registrations or practices in your country. The contents of these websites also contain information obtained from third parties along with references to third party websites. Use of this information and the websites is at each user’s individual risk. Chromsystems has no influence on such contents and accepts no liability in this regard. 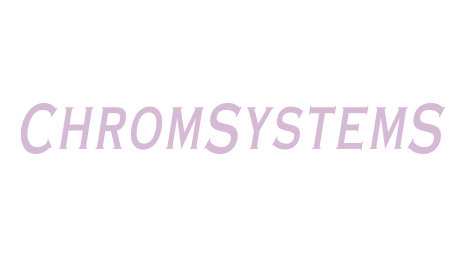 In particular, Chromsystems accepts no responsibility with regard to data protection, data security or the contents of such third party websites, and Chromsystems does not endorse those websites or their content. However, Chromsystems will investigate any reports and will if appropriate remove an external hyperlink if it breaches applicable law. Chromsystems endeavours at all times to respect the copyright of other parties and to rely on internally-produced or licence-free works. All contents of our websites are protected by copyright, under trade mark law or by other legal rights. Third party contributions are acknowledged as such. Materials which have been made available on our websites are protected under copyright, international treaty law and further laws and agreements concerning intellectual property rights. These rights shall be respected. The reproduction, processing, distribution and any form of exploitation beyond the confines of the aforementioned scope of legal protection shall require the prior written approval of the relevant author or of Chromsystems.